Congrats to Angela! 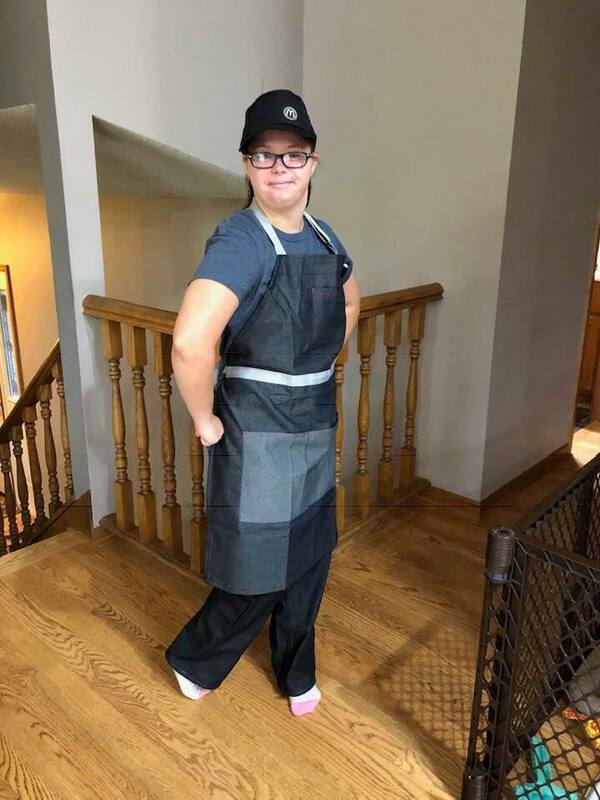 Grace (my 31-year old stepdaughter with Down syndrome) is a year into her working career. She works 6-10 hours per week at TJ Maxx and a few hours at a local art association. Similar to Angela, who wants her own apartment, Grace would also like to move out, but needs more working hours to be able to afford it. It's a process! Wow, what a great accomplishment! Beth's job coach is trying to get Beth a job at a McDonald's close to our house. I like that you listed Angela's tasks because now I can encourage Beth's job coach to advocate for more work. Angela is an amazing inspiration and I'm so excited about her job success! Congrats on the job, Angela! Sounds like its going great! Just noticed the 2018 banner picture on the blog -- hard to believe three of your little guys are already taller than their big sis! Can't wait to hear updates on the other kids! This is super exciting! Hooray for Angela!